Think Lyme Disease isn't in Georgia? In the late 1980's, the CDC identified native human cases in 27 Georgia counties and in counties in Florida and Alabama. More Lyme disease strains and species have been identified here in the South than even in the North, and two new Borrelia burgdorferi SPECIES, Borrelia carolinensis and Borrelia americana, were discovered in recent years in Southeast. A 2002 Georgia survey found physicians diagnose LD 40X more than it’s reported. What has counted as a case in the Northeast, hasn’t counted as a case in the South rendering statistics useless. For years, reporting practices in most southeastern states haven’t conformed to CDC reporting criteria (source: various southeastern states' Lyme disease case reports by county from 1994-2007 and communications with state and federal public health officials). Hundreds of patients have reported to Georgia Lyme Disease Association that they contracted Lyme disease in Georgia, other southeastern advocacy groups report the same occurring in their states. We believe to refuse to test a suffering patient for Lyme disease or to dismiss a case as a “false positive” is irresponsible when Lyme bacteria, Borrelia burgdorferi, have been clearly documented in nature by scientists for over two decades across the Southeast. When so much evidence surrounds us and anecdotal tales abound, it is illogical not to consider Borrelia burgdorferi infection (and other tick-borne diseases) in humans. Every case deserves full investigation and serious consideration because Lyme Borreliosis can be such a significant, life-altering disease. For further information, see our Lyme in the Southeast page. Still think there’s no Lyme disease in Georgia? The Georgia Lyme Disease Association is an all-volunteer patient advocacy group that is dedicated to the prevention of and education about Lyme disease and other tick-borne diseases (TBD). 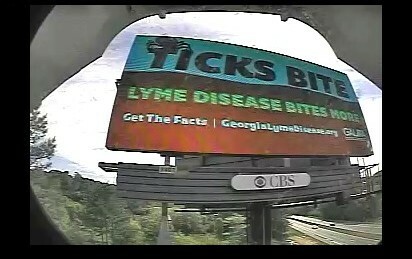 increase public awareness about Lyme and tick-borne diseases, particularly across the Southeast. emphasize the importance of early diagnosis and treatment of Lyme and tick-borne diseases to citizens and healthcare practitioners. provide informational resources and a support network to Georgia patients with tick-borne diseases and their families. develop and promote an effective TBD preventative and educational campaign to help protect public health. advocate for an expansion of government-funded grant programs to support independent scientific research studies about Lyme and tick-borne illnesses particularly those focused on tick vectors, improving diagnostic testing, and analyzing the hundreds of unstudied southeastern strains of the Lyme organism, Borrelia burgdorferi. support crucial Lyme and TBD scientific research through corporate, private and individual fundraising efforts. assist in monitoring the prevalence of Lyme and tick-borne diseases in the Southeast through informal patient surveys. form an informational bridge between scientists, healthcare providers, public health officials, political representatives, advocates and patients who are concerned about tick-borne diseases in the Southeast. Why you can't trust reported Lyme disease case numbers! 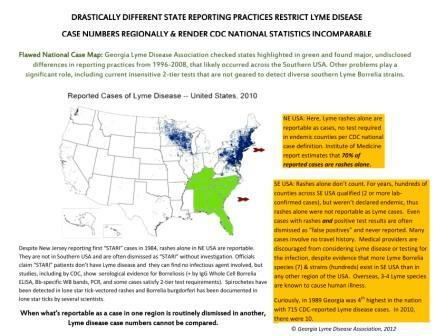 Looking at the CDC's National Lyme Disease Case Map, one would never suspect that there are so many Lyme disease cases occurring in the South, but there are. Why aren't Southern cases showing up in statistics? Lyme disease must be recognized and treated early, but when doctors believe a disease is "rare" in an area due to undisclosed flaws in reporting practices, the disease is not on their diagnostic radar screen. This adds to the lack of recognition, diagnosis and early treatment of Lyme disease, potentially causing thousands if not millions of patients to needlessly suffer permanent damage and/or persistent infection. On our blog, Georgia Lyme Disease Association takes a look at some of the little known, problematic differences in reporting practices that may be harming millions of people living outside the northeastern USA. We cover what you need to know about Lyme disease in the Southern USA. Who Gets Lyme Disease in Georgia? Over the past few years, Georgia LDA has received hundreds of reports from Georgians suffering with Lyme and tick-borne diseases. While a few cases were contracted from other regions, the majority of patients have indicated they contracted these illnesses right here in our own state. A Lyme disease skin rash (called erythema migrans or EM) often presents as a solid lesion instead of the highly publicized "bull's eye" rash. Some studies indicate that up to 50% of patients don't ever see a rash. Always take a picture of any rash that may occur following a tick bite and consult your doctor immediately for appropriate and adequate treatment. On October 21, 2009 the Journal of Clinical Microbiology released the recent research findings of James H. Oliver, Jr., Nataliia Rudenko, Maryna Golovchenko, Tao Lin, Lihui Gao and Libor Grubhoffer. The scientists found a newly described species of Borrelia in South Carolina and California which they have named, Borrelia americana. Dr. Jim Oliver of our own Georgia Southern University’s Institute of Arthropodology and Parasitology (IAP) in Statesboro, Georgia has long studied Borrelia spirochetes in tick and animal specimens from across the Southeast. (See our Lyme in the Southeast page for a list of articles.) We congratulate him and his colleagues on this discovery and thank Dr. Oliver for his years of research in our region. We look forward to learning more about this new Borrelia species and its possible role in human illness. The evidence continues to mount that Chronic Lyme Disease (CLD) exists and must be addressed by the medical community if solutions are to be found. Four National Institutes of Health (NIH) trials validated the existence and severity of CLD. Despite the evidence, there are physicians who continue to deny the existence and severity of CLD, which can hinder efforts to find a solution. Recognizing CLD could facilitate efforts to avoid diagnostic delays of two years and durations of illness of 4.7 to 9 years described in the NIH trials. The risk to society of emerging antibiotic-resistant organisms should be weighed against the societal risks associated with failing to treat an emerging population saddled with CLD. 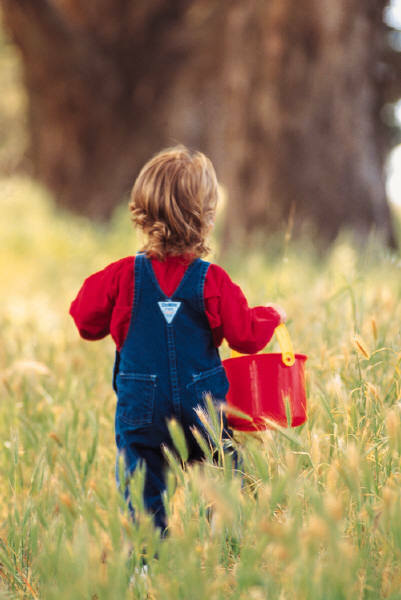 The mixed long-term outcome in children could also be examined. Once we accept the evidence that CLD exists, the medical community should be able to find solutions. Medical professionals should be encouraged to examine whether: (1) innovative treatments for early LD might prevent CLD, (2) early diagnosis of CLD might result in better treatment outcomes, and (3) more effective treatment regimens can be developed for CLD patients who have had prolonged illness and an associated poor quality of life. Flawed reporting practices, lack of recognition of tick-borne diseases by both citizens and medical providers, and the dismissal of cases are only a few of the problems outlined in the October 8, 2010 letter. We again call for the funding for independent study of southeastern human TBD cases. Read the letter sent to the IOM HERE. The Institute of Medicine invited Georgia Lyme Disease Association members to participate in a Lyme Disease teleconference call on June 2, 2010. 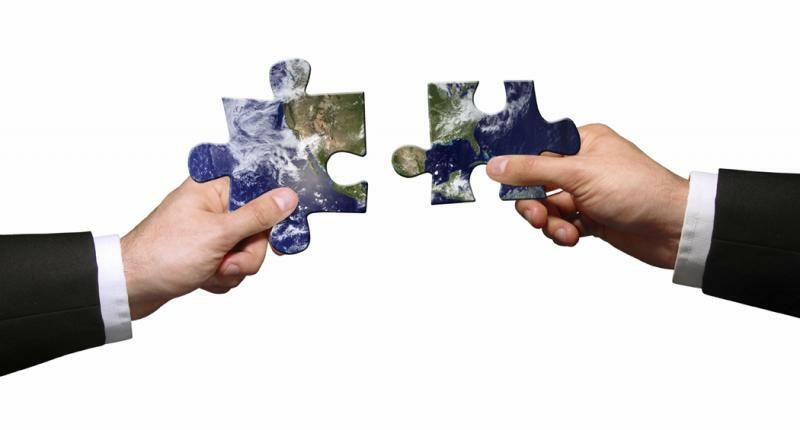 This regional “listening session” for Georgia/North Carolina/South Carolina and surrounding states was arranged as part of the planning for the State of the Science workshop to be held in October. The call was designed so that IOM Lyme Disease panel members would hear concerns pertaining to issues that should be considered and addressed during the upcoming conference. Scientists in the Southeastern USA are not awarded funding for independent, large-scale human studies of Lyme and tick-borne disease pathogens, based on our flawed Lyme disease statistics. Our few “reported” cases make it seem as if Lyme is not a problem here. However, as advocates pointed out, Lyme disease IS a problem here - our cases are not counted and reported using CDC reporting criteria. Many continue to be dismissed as “false positives.” Lyme is often unrecognized in the Southeast, therefore, patients don’t get early treatment that could prevent permanent damage and ongoing symptoms. We called for immediate funding to investigate these cases. To read the comments made by Georgia Lyme Disease Association volunteers and other southeastern advocates click HERE. on Hulu. com ﻿Click here. All donations to the non-profit Georgia Lyme Disease Association are tax-deductible as allowed by federal and state law. See Contact Us page if you wish to mail your donation. A male lone star tick (above) commonly found in the South. Georgia Lyme Disease Association has documented cases of Lyme disease transmitted by this highly aggressive tick species, Amblyomma americanum. The adult female has a white dot in the middle of her back (pictured below). For the fifth consecutive year at Georgia Lyme Disease Association’s request, our Georgia governor has issued a statewide proclamation deeming May, “Lyme and Tick-Borne Disease Awareness Month.” People living in the southeastern United States encounter ticks so frequently, GALDA again thanks Governor Nathan Deal for his concern about protecting the health of our citizens through the promotion of educational and preventative measures. Working with GALDA, Georgia was the first state in the southeastern USA to issue a statewide awareness proclamation in 2010. GALDA board members have since consulted with patient advocacy organizations in surrounding states, and other states have now issued Lyme Disease Awareness Month proclamations including Alabama (2013 and 2014), and new for 2014, Kentucky, Tennessee, North Carolina and Florida. We’re encouraged to see states taking such a proactive stance to try to prevent tick-borne illnesses in our citizens. Georgia Governor Nathan Deal and Georgia Lyme Disease Association urge citizens to become educated about ticks, the diseases they may carry, and ways to prevent tick bites. We encourage people to learn how to remove a tick properly, since improper removal and/or touching a tick with bare fingers may actually result in disease transmission in some cases. The public should become familiar with the signs and symptoms of tick-borne illnesses and seek immediate medical help should symptoms develop. Ticks in the southeastern United States may transmit one or more of several pathogens. For a list, see our press rrelease/blog by clicking HERE. 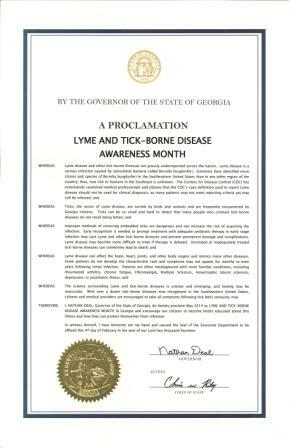 May is Lyme & Tick-Borne Disease Awareness Month in Georgia. 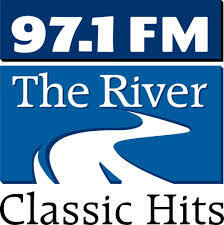 Atlanta radio station 97.1 The River will re-air an interview with Georgia Lyme Disease Association's Liz Schmitz this Sunday morning May 4, 2014 at 7:30 a.m. on The River Current radio show. We thank the station for teaming up with GALDA again this year to help educate Georgia citizens about tick-borne diseases and their prevention. Atlanta's metropolitan area is the ninth largest in the country, boasting a population of 5,457,831. GALDA's 2013 metro Atlanta billboard campaign was so successful, we thought we'd do it again, thanks to our partners at CBS Outdoor who truly care about the health of Georgia citizens. Here's a shot of just one of several Georgia Lyme Disease Association billboards and digital posters that will run from April 28 - June 1 in various locations in and around metro Atlanta. During Lyme and Tick-Borne Disease Awareness Month, we hope to raise awareness about tick-borne diseases across the southeastern USA. GALDA's ads will also appear all month on the CBS Outdoor Rail Network - the in-car televisions of the Metro Atlanta Rapid Transit Authority (MARTA) which have the ability to reach a captive audience of 5.8 million riders each month! At GALDA and CBS Outdoor, we mean business when we say that we want all citizens to learn to protect themselves from ticks and the diseases they can carry. Let us know how many of our ads around metro Atlanta you spot this month, Georgia! Our sincere gratitude goes to CBS Outdoor for partnering with GALDA again this year to promote awareness about tick-borne diseases and their prevention. Special thanks to our clever, hard-working account representative Richard Wallace and to the CBS Outdoor Creative Team headed up by Southeast Hub Creative Director Eddy Herty. Mwah! For the first time ever, two species of Lyme disease bacteria previously unknown to infect humans, Borrelia americana and Borrelia andersonii, have been reported in symptomatic patients living in the Southeastern USA. Importantly, the commonly found lone star tick, formerly believed by many to be incapable of transmitting Lyme disease, was implicated in some of these cases (just as Dr. Terry Schultze and Dr. Ed Masters reported long ago). The research, published in the May issue of The International Journal of Medical Sciences, is significant for several reasons. 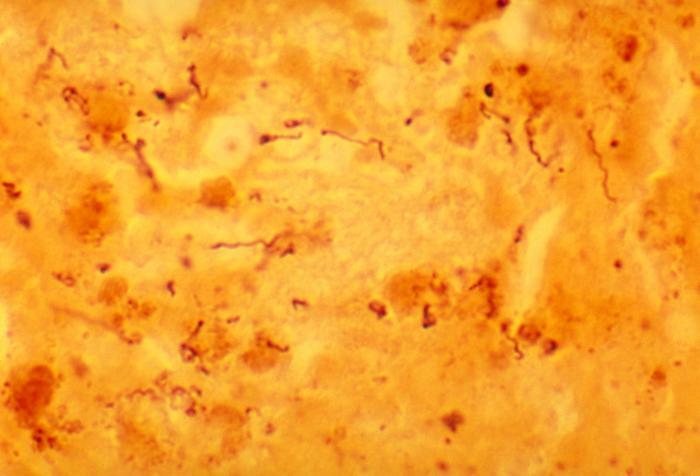 First, only one Lyme bacterial species, Borrelia burgdorferi sensu stricto (Bbss), was previously recognized to cause disease in North Americans. Current testing methods and interpretation criteria, designed to detect just one species, may explain many of the complaints involving the unreliability of Lyme disease tests in the USA. In addition, the belief that only black-legged "deer" ticks can transmit Lyme disease has been widely publicized for decades. Lyme disease risk has been calculated largely based upon the prevalence and infection rate of these "deer" ticks, Ixodes scapularis. In fact, Yale University recently released a new Lyme Disease Risk Map funded by a $2.9 million CDC grant which was highly contested by many. (They only tested a total of nine black-legged ticks from a few southern states.) Yale's map, based solely on "deer ticks," shows little risk to people living outside the Northeastern USA. Clark's findings, together with past studies implicating lone star ticks associated with Lyme disease (Masters, Rawlings, Felz, Feir, etc. ), strongly suggest otherwise. Dr. Clark and his team identified lone star ticks, Amblyomma americanum, removed from humans who tested positive for Lyme bacteria, including the species of Borrelia burgdorferi, Bbss, already known to cause the disease in North America. Some of the ticks removed from the patients tested positive, too. 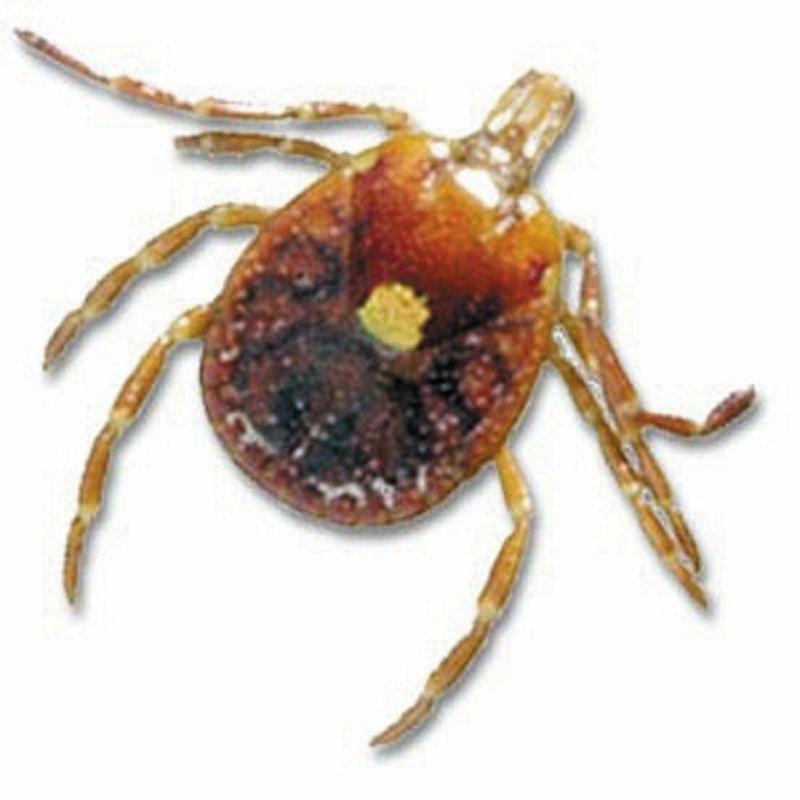 Lone star ticks are the most commonly found species biting humans in the Southeastern United States. These aggressive ticks are found almost halfway across the nation - from the deep South and as far north as Canada. This groundbreaking research may clarify why so many humans living outside of the Northeastern USA claim they have contracted Lyme disease** regardless of the absence or low prevalance rate of infected black-legged "deer"ticks. The new findings significantly expand the geographic area where Lyme disease should be considered by medical providers and citizens alike. As Georgia Lyme Disease Association president Liz Schmitz remarked, "If only one percent of these ticks are able to transmit Lyme disease, it poses a tremendous threat to public health because lone star ticks are known to bite humans so frequently." Called The New Great Imitator, Lyme disease is often mistaken for illnesses such as Fibromyalgia, Chronic Fatigue Syndrome, Lupus, Multiple Sclerosis, Rheumatoid arthritis, Lou Gehrig's disease, Parkinson's, ADHD, and even Alzheimer's. Georgia Lyme Disease Association is proud to have provided both technical assistance and partial funding in support this research. ** For decades, public health officials and Lyme disease groups and organizations have heard from thousands of patients living outside known "endemic" areas who claim they and/or their family members contracted Lyme disease with no travel history. With 715 cases on record, Georgia was the 4th highest state in the nation in CDC-reported Lyme cases in 1989 but reported only 10 by 2010. 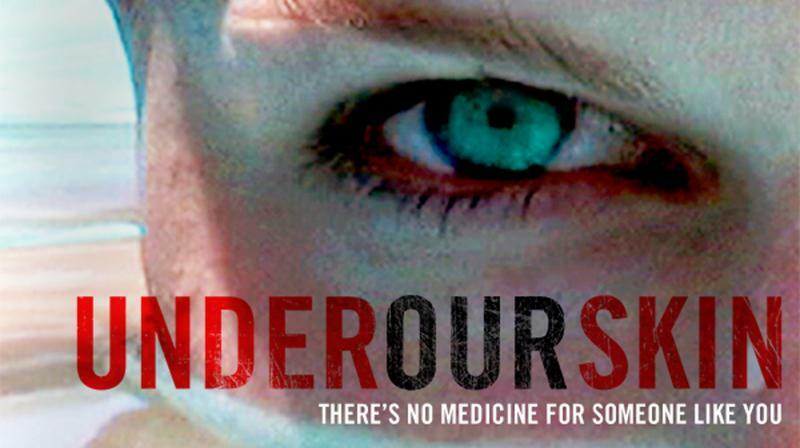 Most cases of southern Lyme disease now go unreported due to the different regional surveillance guidelines used. Southern cases are often dismissed as "false positives." Scientists have identified several infectious Lyme disease bacteria strains and discovered other potentially infectious Lyme Borrelia species in the Southeast, including the widely distributed Borrelia kurtenbachii. The researchers reported that more Lyme borrelia species have been found in the Southeastern United States than in any other region. Nataliia Rudenko, Maryna Golovchenko, Libor Grubhoffer and James H. Oliver, Jr. presented their findings recently at the 2011 Ticks and Tick-borne Pathogens International Conference in Zaragoza, Spain. Read the complete story on our News page. Read the new article and research abstracts about Borrelia Bissettii- click here. For years, certain "experts" including many who wrote the Infectious Diseases Society of America's Lyme Disease Treatment Guidelines, have claimed that convincing evidence of persistent infection does not exist. These experts have dismissed patients who claim to suffer after treatment, even going so far as to name their suffering, "Post Lyme Disease Syndrome", as if they had proven that persistent infection was not the cause. While antibiotic treatment may not prove to be curative in some cases, many patients claim that longer courses of antibiotic therapy restore them to functionality. Because Lyme disease can cause permanent damage to the heart, brain and other organs, perhaps Lyme patients will need to be treated off and on again to control the infection until a definite cure that works for every case can be found. Please note: We strongly disagree with the information in the study about the C6 test being so reliable and caution patients and medical providers, particularly in the Southern United States. Dr. Ed Masters reported years ago that the C6 did not detect his Missouri EM Lyme-like cases while he noted in another study, the whole cell Borrelia ELISA did. Other researchers such as Dr. Raymond Dattwyler have recently also cautioned that the C6 test does not detect variable Lyme disease strains and species as much as they had hoped (see Dogged by Discrepancies article below). The Southeastern United States has more strains (hundreds) and species (7) than any other region; the C6 as well as other current tests may not detect many of these. The CDC’s new report, Canine Serology as Adjunct to Human Lyme Disease Surveillance (Mead P, Goel R, Kugeler K.; Emerg Infect Dis. 2011 Sep.) attempts to define areas of human Lyme disease risk by correlating dog and human cases across the United States. While the concept is good, the conclusion is, unfortunately, based on flawed and subjective data. First, the test used to detect Lyme borreliosis in the national dog study was the C6 ELISA. Last year, a well-known researcher on the CDC's own Lyme disease diagnostic recommendations committee confirmed that, while the C6 may be specific for particular Lyme borrelia strains, it doesn't seem to detect others. Secondly, although the authors admit reporting practices may be subject to bias, they then go on to rely on human case numbers reported to the CDC for comparison. What they fail to point out are the major inconsistencies known in Lyme disease surveillance procedures among states. Statistical data are rendered useless when what is counted as a reportable Lyme disease case in some regions is routinely dismissed in others. Can true risk of Lyme disease really be assessed based on such data? The report sure doesn't jibe with what we hear from patients. Read the full article here. Currently, many public health officials, including those at the CDC, continue to claim Lyme disease in humans in the South is rare to nonexistent. Countless patients and a multitude of medical providers disagree. Where's the disconnect? If, as we appear to be witnessing, lone star and other ticks transmit Lyme disease, all bets are off. These very aggressive pests are the ticks most commonly found parasitizing humans in the Southeast. 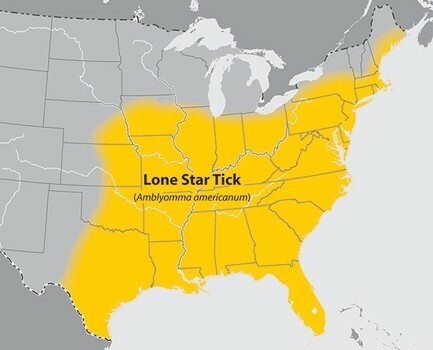 The CDC's Center for Global Health website stated that the Lone Star tick, Amblyomma americanum, and the Brown Dog tick both transmit Lyme borreliosis. Copyright 2009-2013 Georgia Lyme Disease Association. All rights reserved. Please see disclaimer.